For more than a century, Pursell has been a leader in the fertilizer industry, known for developing innovative controlled release fertilizer technologies and micronutrient delivery systems. In October 2017, Pursell launched Pursell Agri-Tech to continue to add to its plant nutrition legacy. 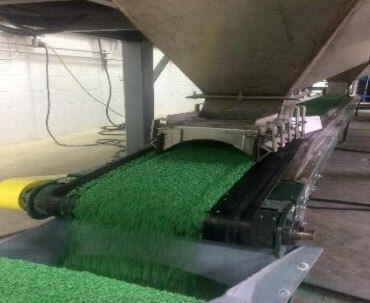 Headquartered in Sylacauga, Alabama, as part of the Appalachian Regional Commission service area, Pursell Agri-Tech has developed a new technology to coat fertilizers at very competitive cost levels. The project for Pursell Agri-Tech will renovate an existing site and construct an additional expansion. Of the total $15 million project cost, MuniStrategies allocated $7 million of New Market Tax Credits to the development . The expansion will include an approximately 10,000 square foot facility which will include manufacturing, industrial and office spaces. The project will create 50 direct full-time jobs and 18 temporary construction jobs. Pursell has committed to job training and advancement opportunities for new and existing employees. The workforce for this project will be hired from the local community and additional industrial investments are anticipated which will further benefit the area. New Market Tax Credits have allowed the startup of Pursell Agri-Tech to move forward with a larger facility than was previously contemplated. Economic: At scale, this plant will be capable of producing over 120,000 tons of specialty fertilizer annually. It’s output will support farmers in Alabama and throughout the world with leading technology that makes farming applications environmentally safer and more efficient. Jobs: The Project will create up to 50 full- time jobs over the next 7 years. The new jobs bring in meaningful economic support for the local community where educational attainment level is relatively low and manufacturing is the primary industry leading the local economy. Community: The Project and Pursell Family are deeply committed to Sylacauga. The family has been engaged with the Auburn University School of Agriculture for decades as a research partner and donor. Workforce Development: The Company has committed to $30,000 per year in critical workforce training (or $210K for the compliance period). Standard training will consist of in-house and vendor training on equipment, safety, and materials handling. PAT and the Pursell Family are also deeply connected with Auburn University and R&D work in collaboration with Auburn students and the School of Agriculture. PAT is committed to this formal relationship for employee pipeline development and ongoing R&D support for agricultural yield research.